I don't know when it started, but somehow over the years I have developed an addiction to coffee mugs. I'm also addicted to coffee. But for right now just we're going to focus on the mug addiction. They just make me happy. I'm not sure why. But they do. And I buy them for myself. Often. I always walk through the mug section at Target to see if there is anything new that I might need. I also find great mugs at Homegoods and TJ Maxx. 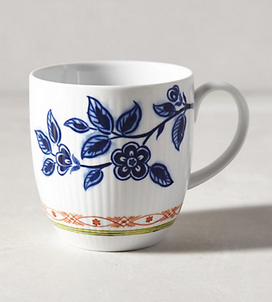 I also find myself looking online for new, cute mugs. I look on Pinterest. I look on Etsy. And don't get me started on the Christmas mugs. I LOVE CHRISTMAS MUGS. The thing is, because coffee mugs are my love language, I have to stop myself from buying them for others all the time. Is it your birthday? My first inclination is to buy you a coffee mug. Graduate from college? 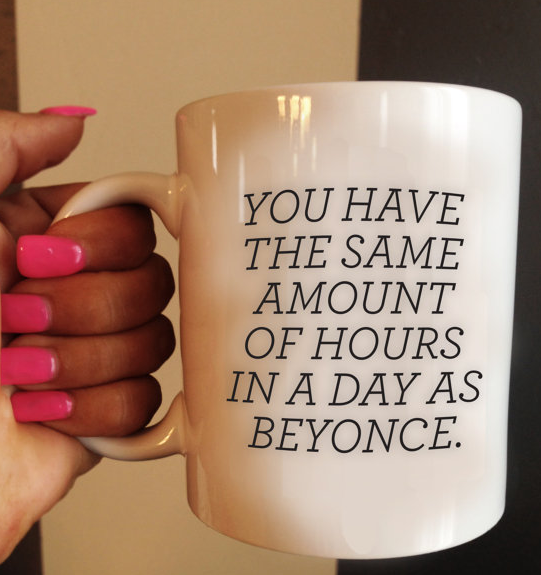 Coffee mug for you. Did you just have a baby? You DEFINITELY need a mug. Anytime I leave town, I buy a coffee mug as a souvenir. Every time I go to Disney World. Every resort. Every podunk town. I want them all. I love watching the Today Show and I can't tell you how many times I have gone to the website and seriously considered purchasing a Today Show coffee mug. I haven't done it.... but I really, really want to. So, rather than click "Add to Cart" on all of these.... I'm just gonna show you these mugs that I love. For example, I found this one on Etsy by TheHappyDept. Don't you just feel like this would give you a good boost of morning motivation? This mug from Anthro makes me so happy. 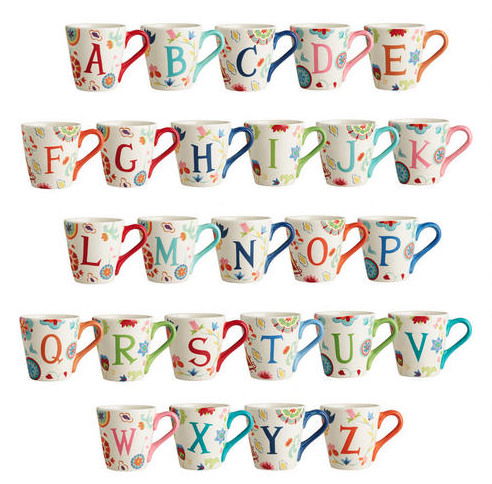 And aren't these Monogram Mugs from World Market just darling?! They're just so cheery. I love things that are cheery. Y'all. 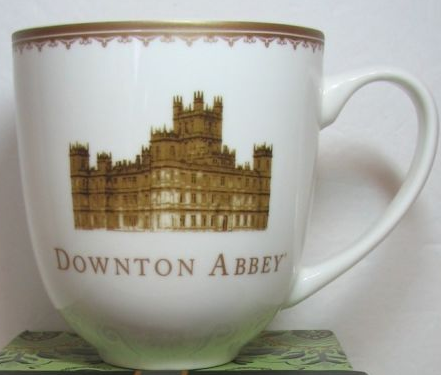 It's a DOWNTON ABBEY MUG. Apparently this is a very special collector's item as it is selling on eBay for $50.00. Are you raising money for some sort of charity? I'll buy a mug from you. Did you go to some work event that was giving out coffee mugs with a company logo? Bring them to me. Selling coffee mugs in your restaurant gift shop? Sold! And, with that, I think I've now sufficiently proven to all of you that I am what some might call an "odd bird."